A great gift for an Anniversary Celebration. 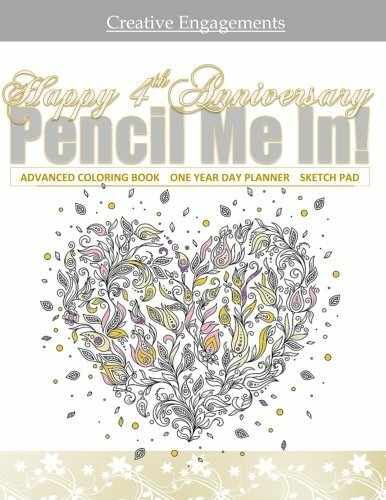 This lovely book contains 50 Adult Coloring pages within a One Year Day Planner. A lovely way to remember your year! 180 pages. Join millions of adults who use coloring as a way to relax and let the stress of the day float away.